Master Li Qiyu was born in 1957 in Qingdao, Shandong Province. At six years of age he began his initiation into martial arts under Shandong Province Wushu Team coach (and older brother) Master Li Qiming, before becoming the disciple of Master Zhang Suochun at the age of eight. Under Zhang Shifu, Li Qiyu undertook systematic study of Cha Quan, Chinese wrestling, Qinna (joint locking) and Seven Star Mantis Boxing - among other traditional Chinese martial arts. In 1972 Li Qiyu made his debut for the Qingdao Wushu Team and took part in many national and provincial-level martial arts competitions - winning sword, stick, Mantis Boxing, paired routine and all-around champion titles multiple times. In 1978 he was admitted to the Shanghai Institute of Physical Education, where he trained intensively and researched martial arts theory and pedagogy under the guidance of Grandmasters Cai Longyun, Qiu Pixiang and Wang Peikun. Li Qiyu commenced as coach of the professional wushu team of the Physical Education Association under the Ministry of Water and Electricity Resources in 1985, leading them to win nine gold medals in the National Wushu Championships. During the same year Li joined Jet Li, Yu Hai, Yu Chenghui, Ji Chunhua and Xiong Xinxin (AKA Hung Yan Yan) in the cast of Nan Bei Shaolin (better known in the West as ‘Martial Arts of Shaolin’), and played martial roles in the movie ‘White Lotus’ and the ‘Water Margin’ television series. A Professor of rehabilitative Traditional Chinese Medicine, Mr Li has undertaken extensive in-depth research on Traditional Chinese Medicine, including systematic training at the then Shanghai College of Traditional Chinese Medicine, where he majored in acupuncture, massage and traumatology.  He resides in Qingdao where he is constantly engaged in the research of traditional Mantis Boxing and its associated weaponry. 1985-1988 - Coached the professional wushu team of the Physical Education Association under the Ministry of Water and Electricity Resources to nine gold medals in National Wushu Championships.